I tend to be a classic overachiever. I start the day with huge dreams and goals, but I massively overestimate what I can get done, fail miserably, and end the day feeling worn out and disappointed in myself. I tend to do the same thing with New Year's resolutions, so a few years ago, I quit making them. I do have goals and dreams for the year, though. I don't necessarily start off the year working on all of them, but I want to start on them at some point during the year. This year, my plan is to focus week by week. I bought a purse-sized weekly planner that will be my command center. I'm using it to plan my weeks and track my progress. I hope that by breaking things down into smaller pieces, I won't get overwhelmed, and by looking at life weekly, instead of day by day, I can set more realistic timeframes to get things done. 1. Start reading studying through the Bible, one chapter a day. Last year started off strong for my Bible study time, but fizzled when summer and a major church renovation project hit, leaving me exhausted. I've tried methods, studies, apps, books, planning and scheduling. But all I really need is to focus on God. In 2015, I want to declutter and simplify my Bible study time. 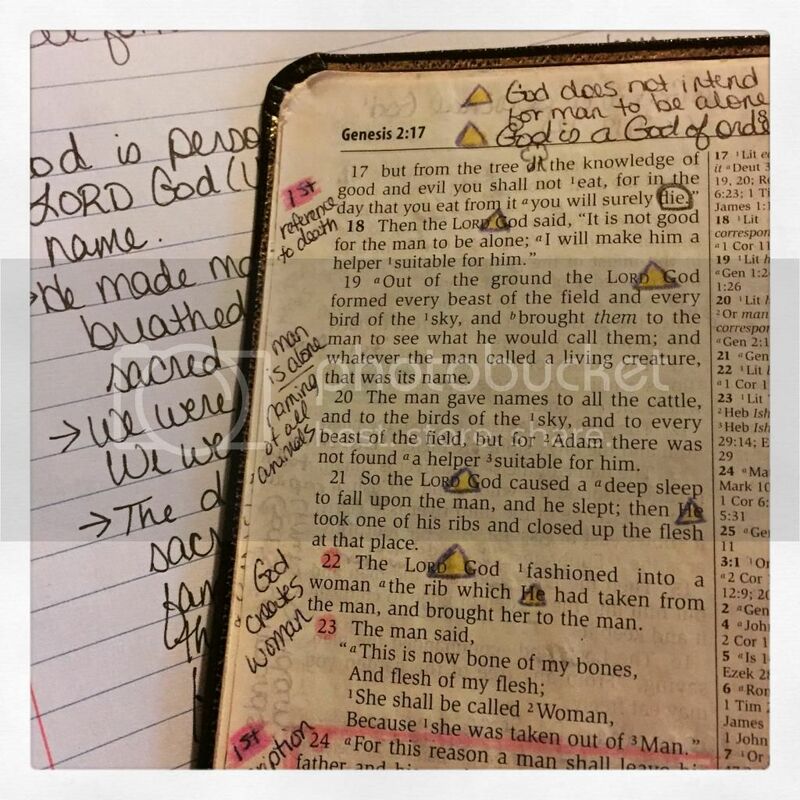 I want to get back to what I love - inductive study - and focus on one chapter a day, leaving enough margin for journaling, scripture memory, prayer, and "grace days." I'll post on Instagram to keep myself accountable. My oldest son and I have have two chosen: March and June. We also want to run some in the fall (dates to be determined) and I want to run my first 10K in November. 4. Get my novel ready to submit to agents. This means finish editing, write a synopsis, put together a list of agents who might be good matches for my story, and probably a thousand other details I'm not thinking of. Lots of coffee and panic attacks will be part of this, I'm sure. 5. Record our lives with more photos the new Project Life: Project 52 digital scrapbooking plan. I love the Project Life app. I thought I'd given up scrapbooking forever, but this app makes it so easy. Scrapbooking is a part of my life again, in a much more affordable and manageable way. My goal is to do one page per week. At the end of the year, I can order prints and have a record of our entire year. 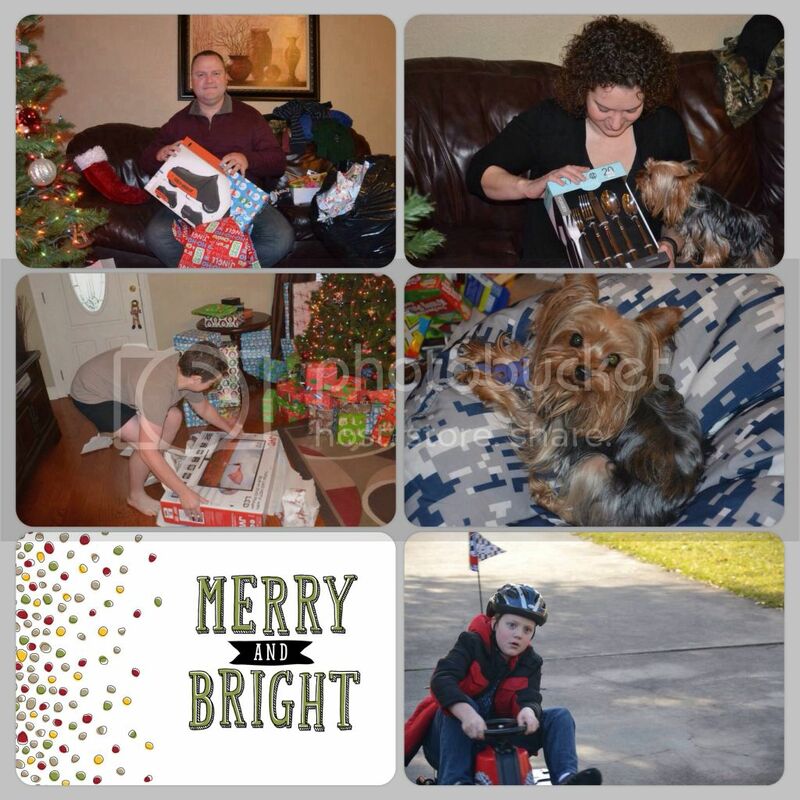 It will also make Christmas gifts easier - I can print pages for a scrapbook for family members. 6. Create a family cookbook, including photos, using Project Life. I already have a cookbook that I've created, using our favorite family recipes. When I find something new that we love, I type it up and add it. Becky Higgins (creator of Project Life) shared cookbook pages on Facebook that her sister made. This year, as I cook each favorite dish, I plan to take photos and create a simple recipe page on my PL app. Eventually, I want to print a copy for myself and one for each of my boys. 7. Knit blankets for my boys. This one's a little iffy, because I haven't been knitting long. I just started in the fall. The boys both want a patchwork-type blanket, with blocks of color. I've seen some pretty basic patterns for these, so I'm hoping my beginner knit-purl skills will enough to carry me through. 8. Read 36 books (at least). The way I've been reading so far this year, I'll go way past 36 books. But this is my minimum. Last year I read 20 books. I'm tracking my reading on Goodreads. If you'd like to follow along, send me a friend request and let me know you saw my blog post. What are your plans and goals for the new year? 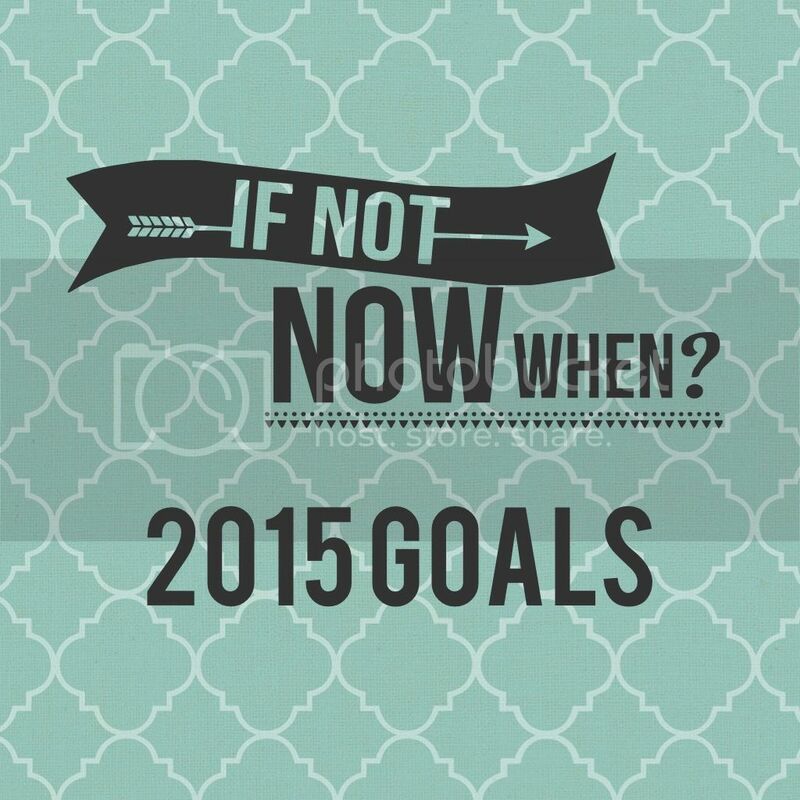 Hey thanks for linking up to my New Year Resolutions link up. I shared your post!